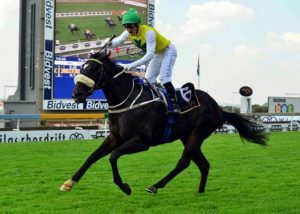 Cheveley Stud’s very promising young stallion Wylie Hall was responsible for his first graded stakes winner this weekend, when his first crop 2yo son Twilight Moon scored an impressive win in the G3 Protea Stakes over 1100m at Turffontein on Saturday. The Daytona Stud bred Twilight Moon made it win number two, from just three starts, when scoring a decisive one and a quarter length win over the New Zealand bred favourite Frosted Gold. It was another more than 3.5 lengths back to third place finisher Green Laser. Trained by Paul Matchett, Twilight Moon, who provided apprentice Dennis Schwarz with one of two graded wins on the card, has now won feature races in each of his last two starts, with the promising colt having scored a dead-heat for first in the recent Listed Storm Bird Stakes. 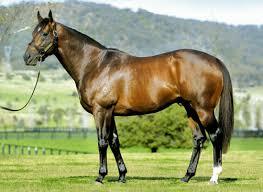 His multiple G1 winning sire Wylie Hall is the first of this season’s first crop sires to come up with a graded stakes winner in 2018-2019, and the son of multiple champion sire Redoute’s Choice has now been responsible for three first crop winners from his first seven runners. Wylie Hall, who shares his sire with the top class stallions Snitzel, Not A Single Doubt and Stratum as well as current Australian star The Autumn Sun, is now one of South Africa’s leading first crop sires by stakes earned. Winner of both the G1 President’s Champions Challenge (over Equus Champions Majmu and Heavy Metal), and G1 SA Derby, the regally related Wylie Hall (whose relatives include recent G1 winners Melody Belle and Yourdeel) has six yearlings on offer at the 2019 Emperors Palace National Yearling Sale, including a filly (Lot 6) from the family of G1 winning fillies Dollar Fortune and Gilded Minaret, a half-brother (Lot 278) to multiple stakes winner A Time To Dream, and a colt (Lot 473) out of a stakes winning half-sister to G1 winners Argonaut and Finest View. © 2019 Cheveley Website loved and managed by Trademark Web Management.